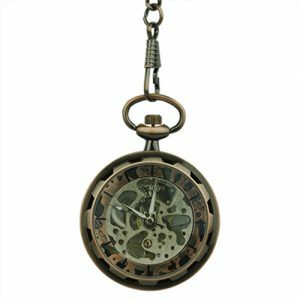 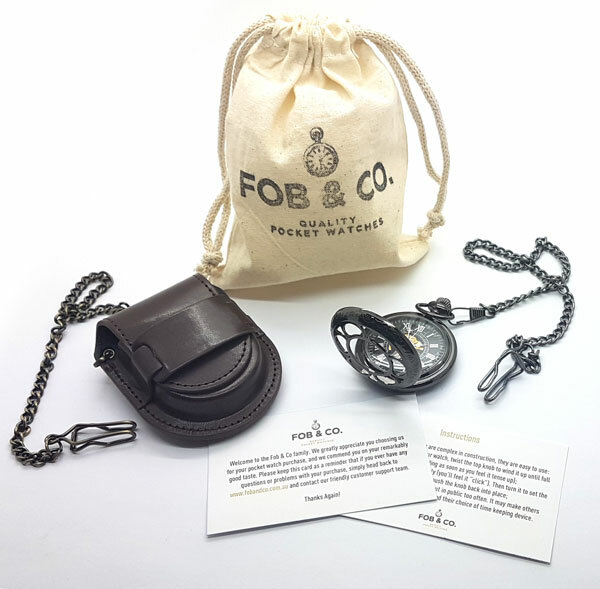 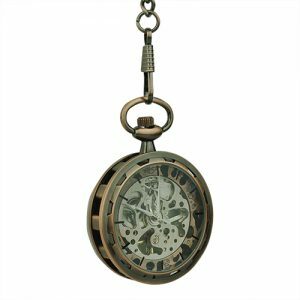 Layered Ring Half Hunter Pocket Watch - Fob & Co. 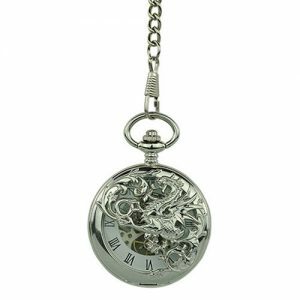 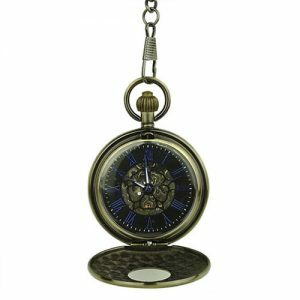 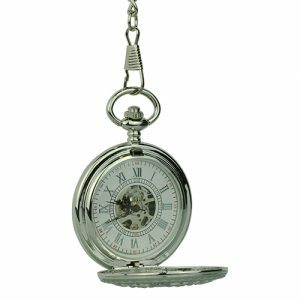 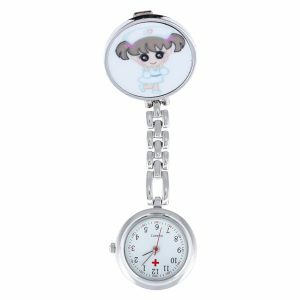 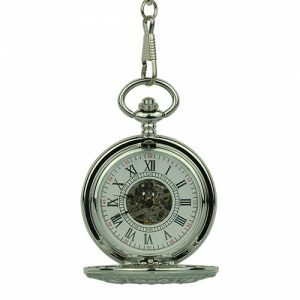 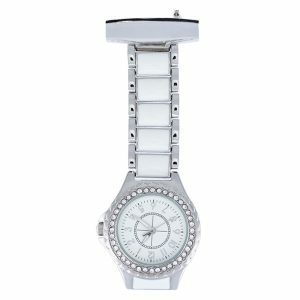 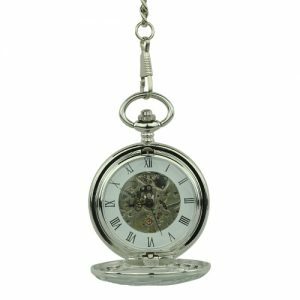 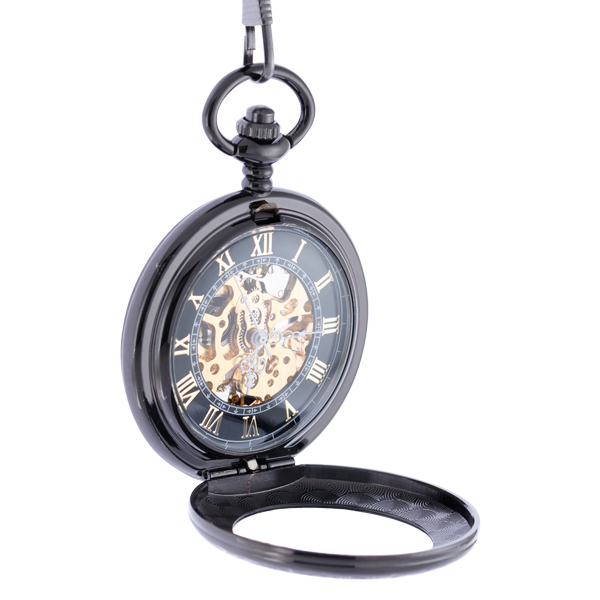 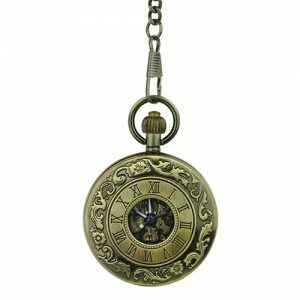 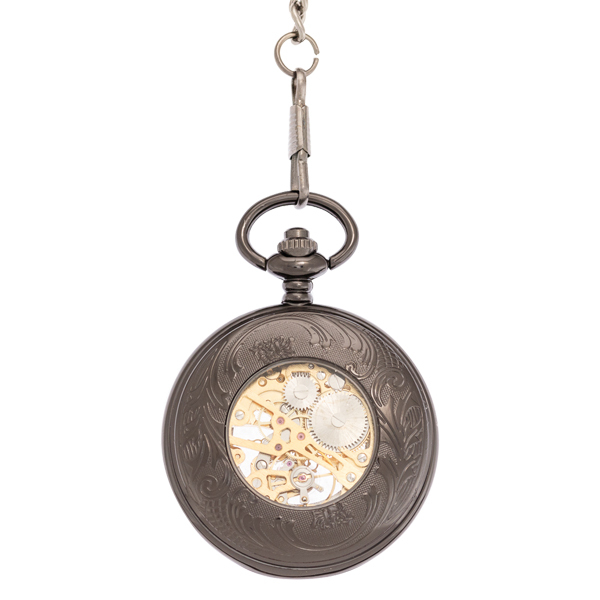 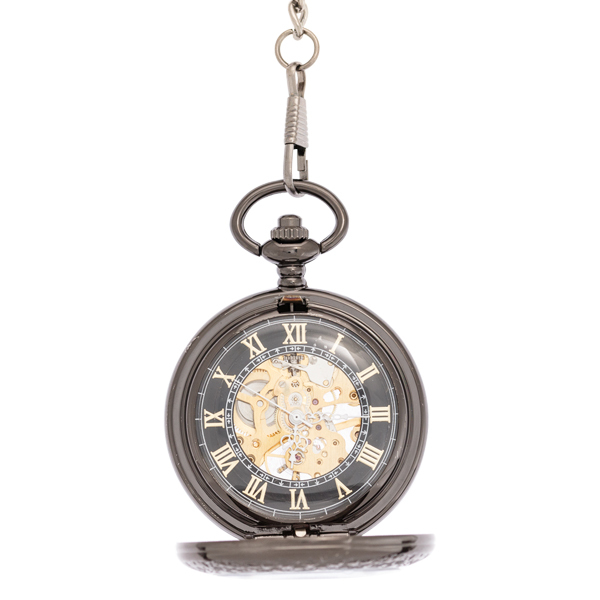 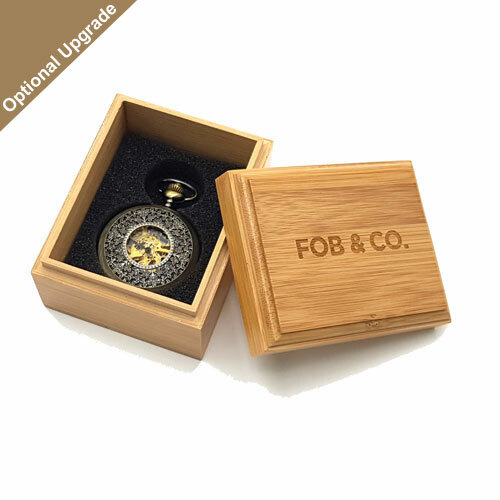 Attach this stunning pocket watch to a vest and you will never look back! 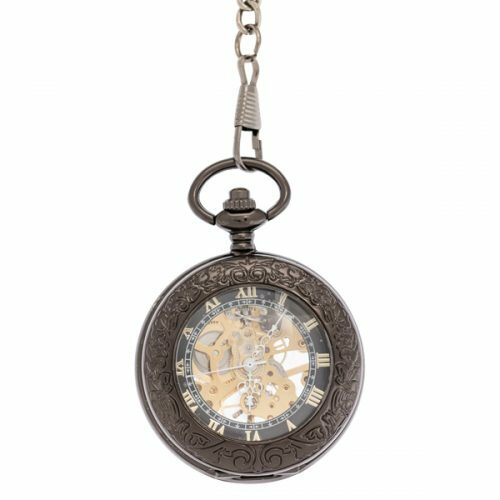 Full of style and flair, this pocket watch has a dark frame and half hunter cover with a cool, random design on it while a generous viewing window reveals a sleek black outer ring watch face with elegant, gold Roman numerals and a see-through centre to gold-toned inner workings.